It's no secret that I love Inglot and I love my warm browns! So today I'll be reviewing one of my current favorite eye shadow from Inglot which I recently rediscovered while searching a dupe for Nars Galapagos eyeshadow! Well its not exactly a dupe of Nars Galapagos but belongs to the same family of warm browns with gold shimmer..yummm. Without any further adieu meet my current to go brown eye shadow Inglot 457 Pearl! Inglot 457 DS is stunning warm brown with fine gold shimmer. Its a unique shade as its warm brown with slight grey undertones to it! Even though it belongs to DS category it has pearl finish which is perfect for everyday wear since lot of browns if they are matte can look very flat on the eyes especially if used as all over lid. The texture of the eye shadow is buttery smooth and goes beautifully on the lids. The pigmentation is fantastic as you can see in the swatch below! I have barely touched the eye shadow and you can see how well its pigmented! The gold shimmer is extremely fine and even though it does show up in the hand swatch it does not show up on the eyes much which is kinda disappointing since its such a gorgeous shade. It blends beautifully and has very high staying power, since I rediscovered it again in my collection I have already used it three times and it stayed on my eyes without fading for 8+ hours which is fantastic! I feel its the perfect brown for 2 min warm brown smokey eyes and will look good on all skin tones. 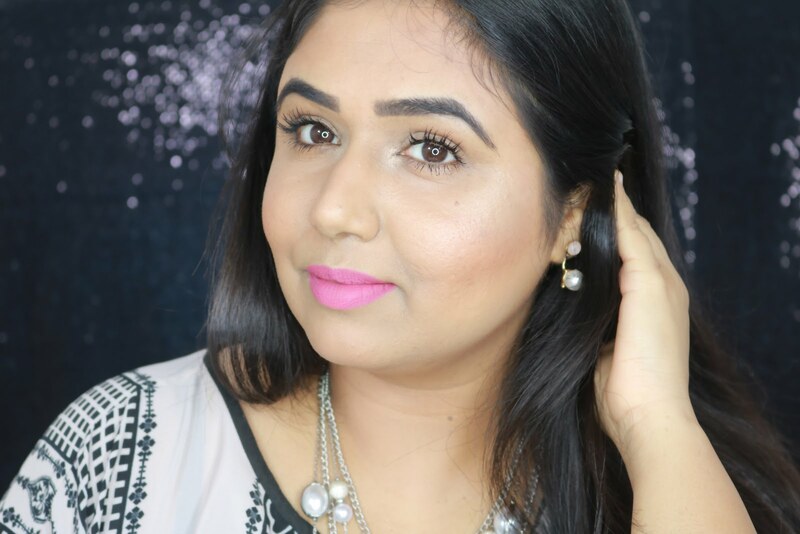 I have quite dark eye lids and it does show up on me pretty well so it should not be a problem for darker skin tones for the color to show up. The shade can be used all over the lid for a quick brown smokey eyes or in the crease and outer corners to give depth to the look! The fine gold shimmer gives barely there sheen to the shade which helps to lift the entire look and not fall flat! Overall a fantastic shade and a must have if you love warm browns! Highly recommended! -> Huge quantity for the price! Love love love this shade a lot, its definitely a must have if you love browns! It goes on smooth, has amazing pigmentation, blends well and stay for a long long time! Highly recommended! its a lovely brown color nicely reviewed. loved your EOTD. How beautiful.. I love your eye makeup Di :) So pretty and neat. Thanks a lot Dipti..this is definitely a must have! A very beautiful shade! It suits you well! Thanks Bharti..I am sure you'll love it!